Seems there's a reason @GoogleCloud's market share trails behind Microsoft's @Azure and is nowhere near Amazon's @AWSCloud. It's just insanely difficult to get up and running. 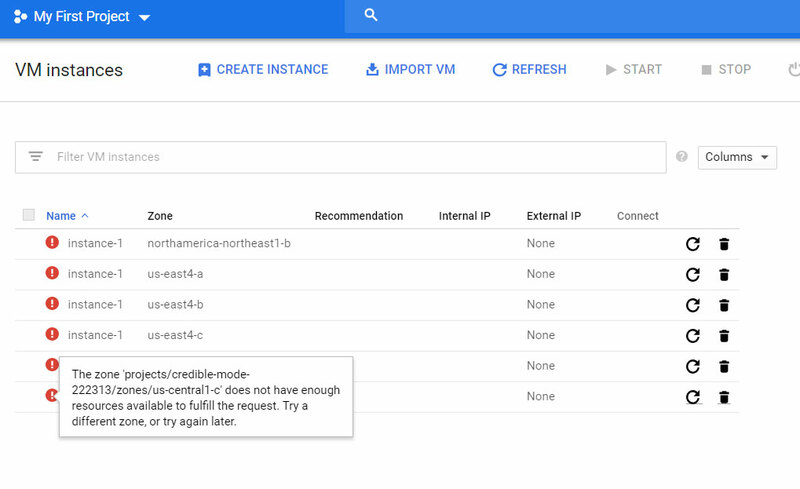 First is the error that I need to enable the Google Cloud service in my Admin Console, but Google Cloud is not even listed there. 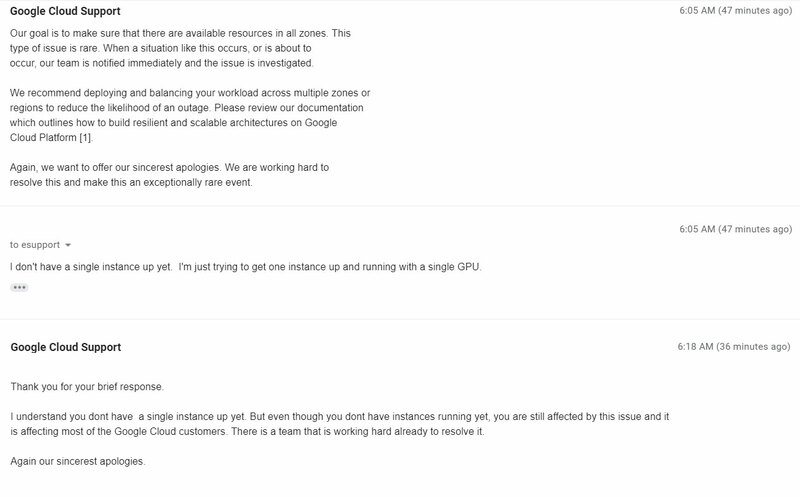 The specific error is "Google Cloud Platform service has been disabled. Please contact your administrator to restore service in G Suite Admin console." Have to contact support (which itself is a puzzle to avoid having to pay for a support plan). Enabling Google Cloud turns out to be tied to enabling Developer Console (how is anyone supposed to know that?). They say it's a recent issue with migrations, but this StackOverflow thread shows this has been an issue for over a year at least. Now that the service is enabled for my account, I try to spin up an instance. If you use GPUs in your project, it then turns out you need to increase your global GPU quota (starts at zero). Makes no sense because all of the specific non-global GPU settings already start at 1. I try again to spin up instances, but now I keep getting "not have enough resources available to fulfill the request. Try a different zone, or try again later." Tried 6 different zones all with the same results. Contacted support again, who suggest I not put all my instances in one zone. I tell them this is my only instance. And the response to that seems to basically acknowledge you can't really spin up instances at this time? Very bizarre and frustrating experience. 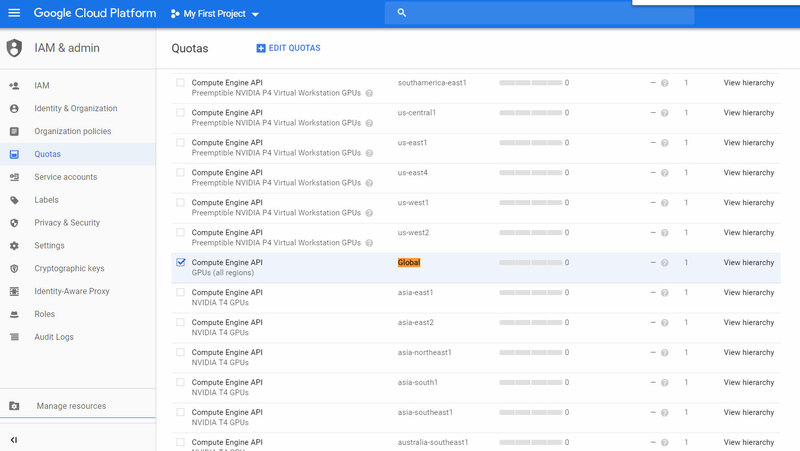 It just seems like no one is even testing Google Cloud to make sure anyone can actually use it. Or that they care if anyone can figure out how to use it.